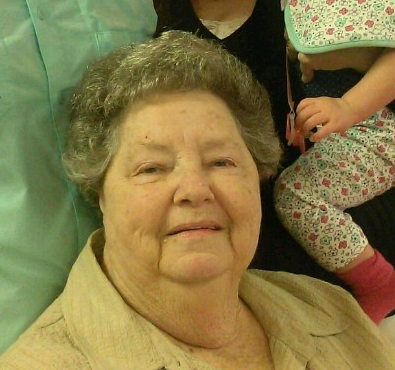 Mrs. Kathy Bates, age 81, a resident of Leesburg passed away on Tuesday, March 26, 2019 at St. Dominic Hospital in Jackson. Visitation will be held 5pm-8pm Thursday, March 28, 2019 at Ott & Lee Funeral Home in Morton and 10am-10:45am Friday at Branch Baptist Church. Services will be held 11am Friday, March 29, 2018 at Branch Baptist Church with burial in the church cemetery. Bro. Geary Walton and Bro. Michael Giles will officiate the services. Arrangements were entrusted to the care of Ott & Lee Funeral Home in Morton. Mrs. Bates was born in Madison County on February 20, 1938. Kathy just loved to get in the vehicle and ride. She and her husband, Jerry enjoyed traveling together. Kathy enjoyed her family getting together and she would have a table full of food for their gathering. She loved being outdoors wetting a hook and catching some fish. Family and grandkids was what she enjoyed most about life and she will be greatly missed by all who loved and knew her. She is preceded in death by her parents, GW Hales and Maude Ella Varner Pelligrino; children, Sherry Peavey, Dewayne Jackson and Ramona Descant; sister, Shirley Cooper. She is survived by her husband, Jerry W. Bates of Leesburg; children, Donnie Jackson Sr. of Pearl, Tammie Wallace (James) of AL, Denet Goodman (Curtis) of Pearl, Christi Wright (Tim) of LA, Ashley Bates of Brandon and Jeff Bates (Terri) of Florence; 16 grandchildren, 27 great grandchildren; 6 great-great grandchildren and a host of friends. Pallbearers will be Curt Goodman, Garrett Goodman, Trent Phillipson, Donnie Jackson Jr., Cody Moon and Ferrell Madison. Memorials may be made in her honor to Branch Baptist Church.